I saw this Chinese Martial Arts movie with a fellow movie enthusiast who is an expert on Hong Kong Kung Fu movies. Before, during and after the movie he explained quite a lot about the background history for it. If you are a novice (like me) on these type of movies, I would recommend you did some research before watching it. 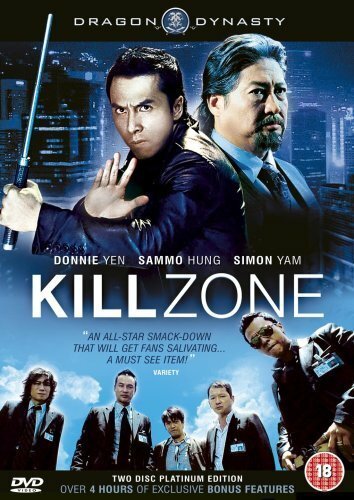 I was told that the plot is classic for a 70s Kung Fu movie but the rest was fully updated to a modern 2000s movie. One of the big themes are morale - bad things happen to bad people and the good guy will win in the end. I think that the scene when Hertz from Shoot 'Em Up talks to his wife on the phone has been ripped off completely, as Wong Po gets a similar call during the final showdown. The Blue-Ray edition that we watched was fully in Chinese with English subtitles. Just so you know.